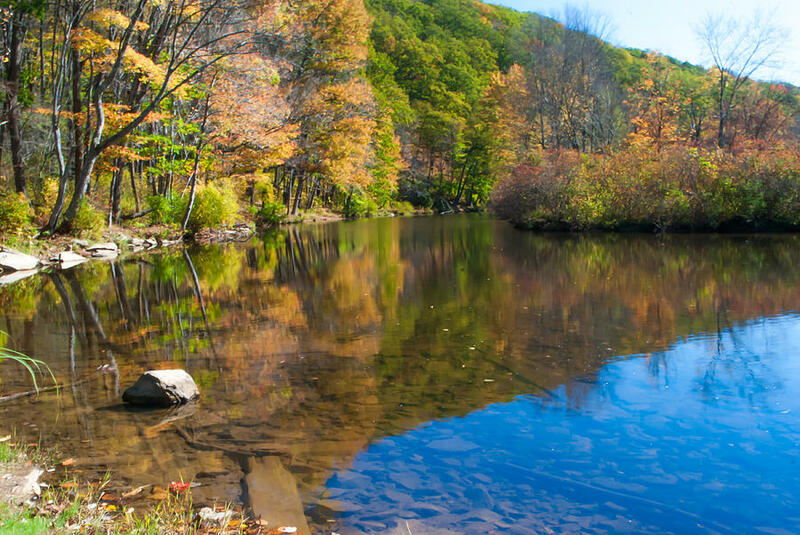 Whether your pleasure is boating, whitewater rafting, biking, hiking, battlefields, festivals, dinning golfing, theaters, snowmobiling, skiing, museums, or outlet shopping , you will find it in the Laurel Highlands. 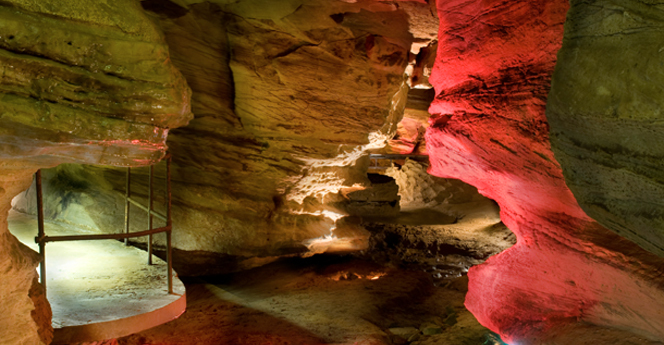 Laurel Caverns is a large natural cave located 50 miles south of Pittsburgh. Most of the passage ceilings in its three mile labyrinth are between ten and twenty feet high (many as high as 50 feet) with an average width of over twelve feet. This makes it the largest cave in Pennsylvania. The cave itself is situated beneath a 435 acre privately owned geological preserve. Because this property is at the top of Chestnut Ridge, all of the water that enters the cave is pristine. 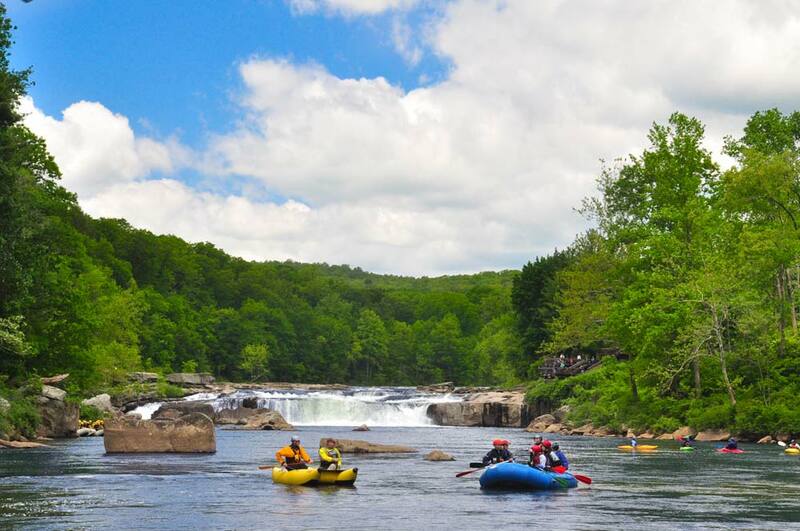 The Lower Youghiogheny River is the most popular river in Ohiopyle for rafting, and for good reason. The Class III and IV rapids of the Lower Yough invite everyone from the novice rafter to the veteran river-runner to see what lays beyond the next bend. 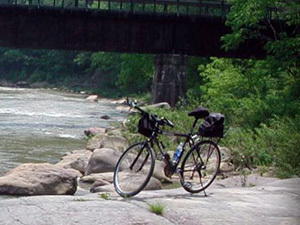 With rapids such as Dimple Rock Rapid, River’s End and Cucumber, to name a few, the Lower Yough will keep you having fun its entire 7 1/2 mile journey. 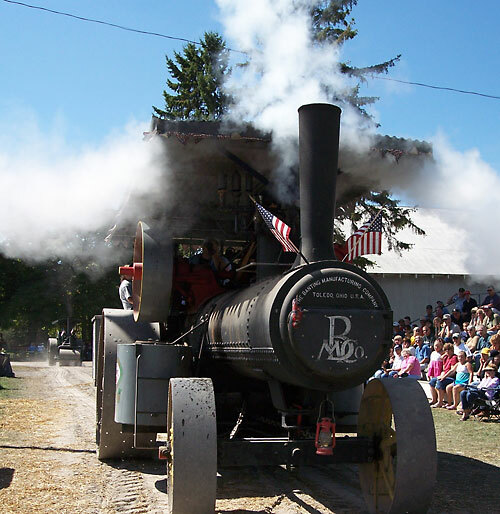 Steam engines, parades, quilts, music, homemade fries and pulling contests, all these one thing in common, the Farmers’ and Threshermen’s Jubilee. Since September 1953, the Jubilee has been held to raise funds for local voluntary fire departments. The event runs five days and is fun for the entire family. Stop by during the month of September and find out how much fun you could have. Idlewild Park is the oldest amusement park in Pennsylvania and the third oldest operating amusement park in the United States behind Lake Compounce and Cedar Point. The park has won several awards, including from industry publication Amusement Today as the best children’s park in the world. Idlewild features a waterpark complete with 14 wet and wild water slides and a fun water activity area with tipping cones, hydro soakers, and a large tipping bucket that dumps out hundreds of gallons of water. There’s a swimming pool, plus a water activity for the little ones too. Captain Kidd’s Adventure Galley, features six water slides, crawl tunnels, net climbs, bridges, a giant tipping bucket and plenty of water spray features. Flowing southwestward, Laurel Hill Creek roughly 30 miles of the eastern slope of the Great Laurel Ridge, from the Pennsylvania Turnpike south to Confluence, a watershed of 125 square miles. Along that length it takes on at least three different personalities, offering anglers different kinds of challenges and rewards. Check out today’s Fishing Report. Maybe ghosts and ghouls are your excitement. 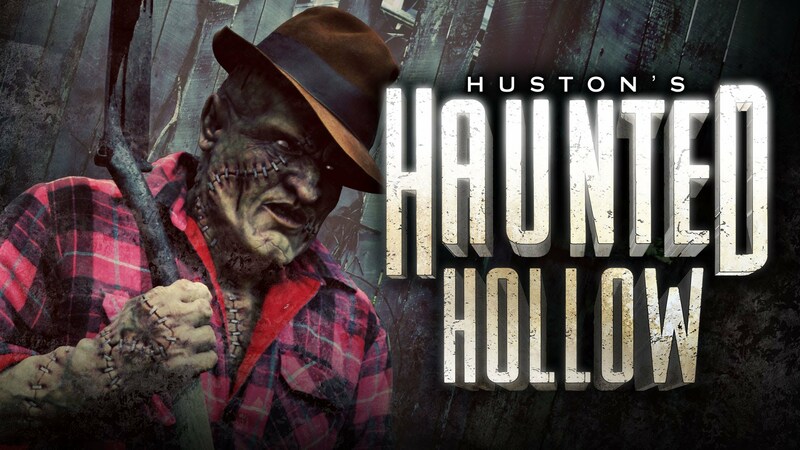 Experience Huston’s Haunted Hollow hosting tales of Haunted Boarding House, Twisted Barn in 4D, Toxic Swamp, Haunted Hayride / Toxic Swamp Walk and Dead End Cornfield. However, at Haunted Hayloft you could walk upon the floor boards of a barn and sense the restlessness of the spirits that remain there. 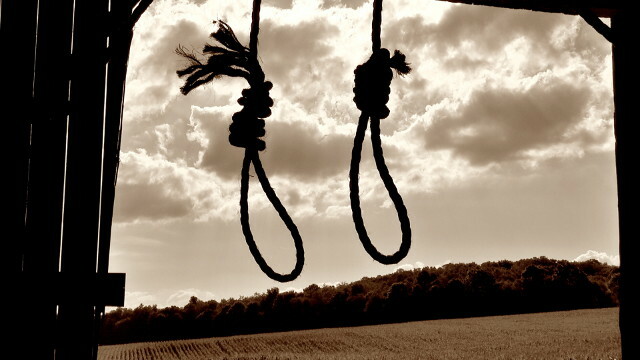 Follow the tragic demise of Herman Umberger, the frenzied escapes of his accused murderers Joseph and David Nicely, and their death by hanging on April 2, 1891. Hidden Valley Resorts and Seven Springs offer a beautiful getaway year-round. 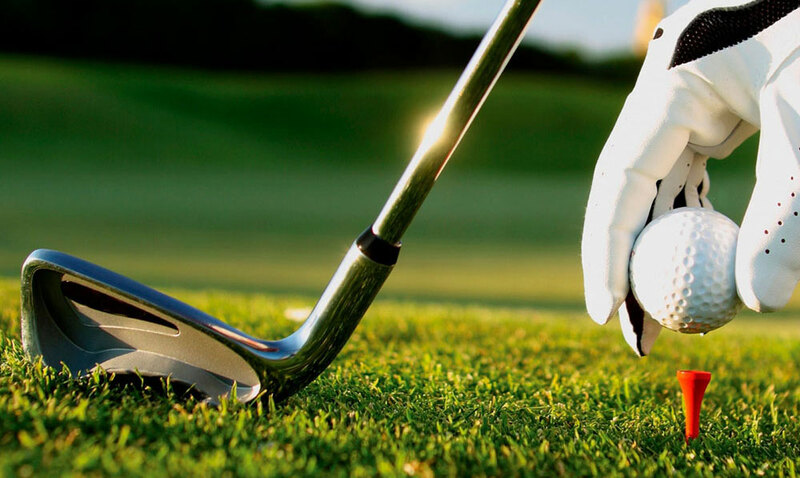 The Hidden Valley Golf Club presents a spectacular 18-hole championship course with tree-lined fairways nestled among native Mountain Laurel. Built along the natural fall lines of its mountaintop home, 30 miles of vistas capture the dramatic landscape of the surrounding countryside. The Trillium Spa at Hidden Valley offers an escape from the stress of everyday life with a relaxing spa menu featuring manicures, pedicures, massages and more. 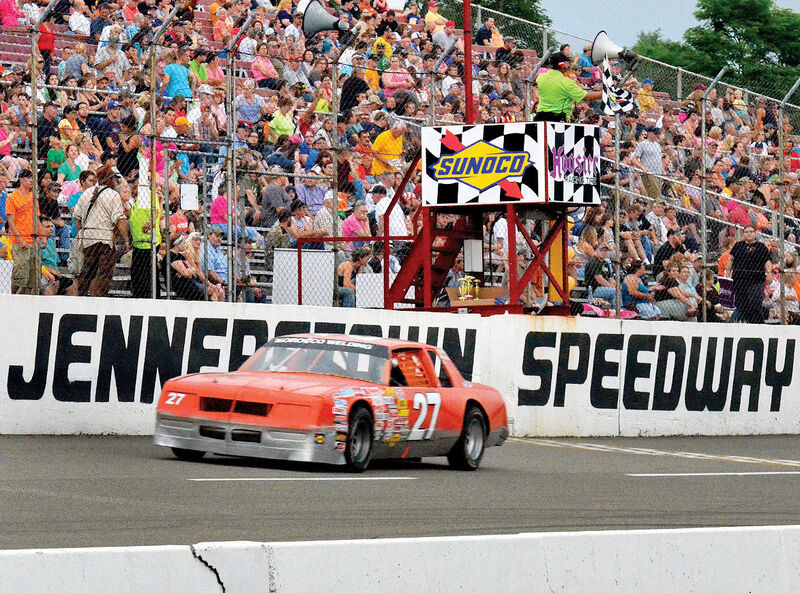 Jennerstown Speedway will race weekly Saturday nights, featuring the late models, chargers, street stocks, and hobby stocks. The season opener is May 10, and will feature the Super Cup Stock Car Series, as well as the weekly racing program. Special events being considered are monster trucks, ISMA super modifieds, Super Cup Series, tractor pulls, Pittsburgh Circle Track Club Nights, Senior Series, crash cars, skid plate races, and drifting. Nestled in the borough of Rockwood, PA in the beautiful Laurel Highlands, lies the Rockwood Mill Shoppes & Opera House, a beautiful treasure-trove of history, shops, services and entertainment. The century old lumber and feed mill has been transformed into “Main street” USA with colorful storefront facades hosting more than 12 retail vendors and services. An array of delectable treats including pizza, baked goods, coffee and ice cream are available to tempt your taste buds. Guests can feel fit and relaxed at the Fitness Center and Tanning Bed. The old Opera House in the upstairs section of the building has been lovingly restored capturing the essence of a bygone era. It stages a variety of musical entertainment and can be rented for special events. Glades Pike Winery offers many different types of wines for your tasting enjoyment. With the beautiful Laurel Highlands surrounding you, enjoy a glass or a bottle of wine and relax on the deck or in the gazebo. 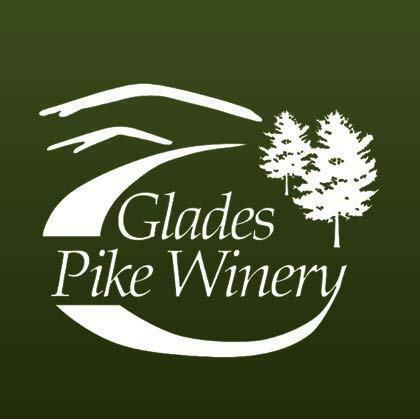 Glades Pike Winery also offers a “Music in the Mountains” concert series for your listening pleasure. 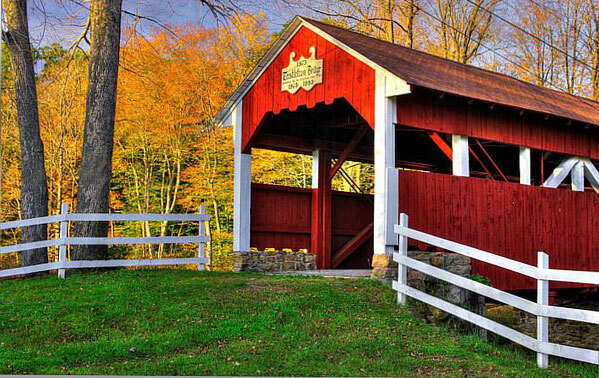 Nearly 14,000 authentic wooden covered bridges once existed in our Nation. Today less than 900 remain. Time and technology took its toll on the bridges until recent years when Federal grants came available for states to restore and rebuild many of the historic.